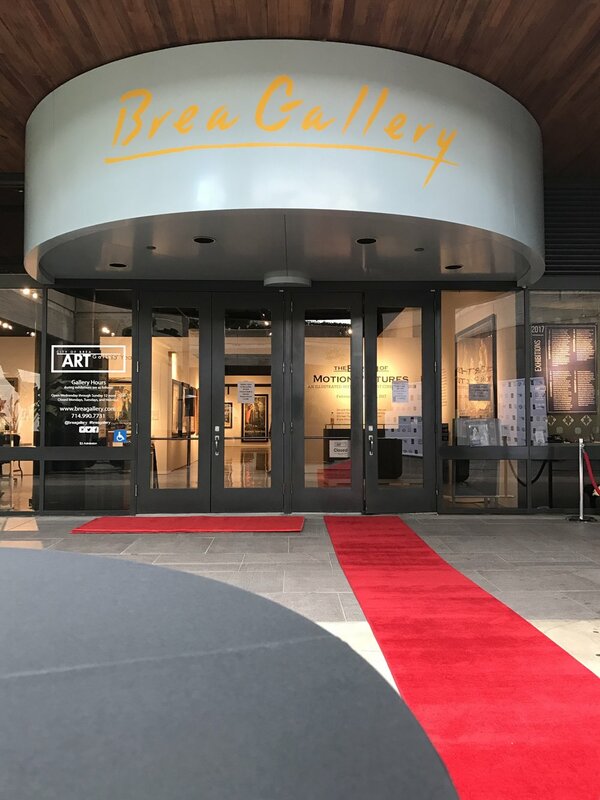 The Low Down: This retrospective exhibition, the first of its kind, is made up of works on loan from the private collection of Brea's own Dwight Manley. Featuring exquisite, never before shown silent movie posters, an actual 'silent Oscar', posters from Brea’s centennial year, 1917, and movie memorabilia, this show is comprehensive and delightful. 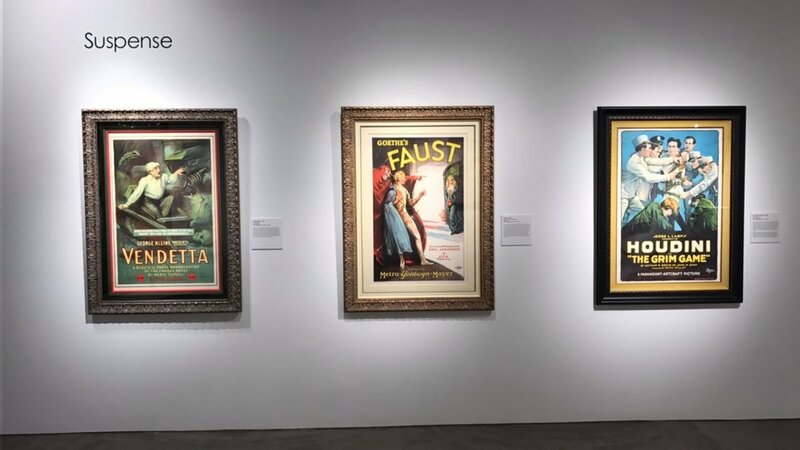 This exhibit includes over sixty full-color stone lithograph posters, many of which are the only known surviving examples of their film counterparts. The Back Story: Lender Dwight Manley became interested in film posters eight years ago after visiting actor Leonardo DiCaprio’s Hollywood Hills home. Manley says, “He had some of the greatest horror film posters of all time, such as Frankenstein and Dracula. I commented how very cool they were. A few years later I needed some art to put on the wall of a new house in Brea, and came across an auction with a couple of neat posters." Following his initial inspiration, Manley searched high and low for pieces that would eventually make up his collection of over 2,000 posters. Including the 1927 poster from the so-called holy grail of silent films, London After Midnight starring “the man of a thousand faces,” Lon Chaney (1883 – 1930), acquired from Metallica guitar player Kirk Hammett. What's Here: This comprehensive exhibition travels through the 1910s and 1920s, highlighting vivid posters that reflect legends in film such as Charlie Chaplin, John Barrymore, Gloria Swanson, Roscoe 'Fatty' Arbuckle, Rudolph Valentino, Theda Bara, and Mary Pickford. There are even early works from young cartoonist Walt Disney. The shining star of the exhibition, one of only fifteen 'silent Oscars' ever awarded, takes center stage in the middle of the Gallery. Of nearly 3,000 Academy Awards given since the Academy of Motion Picture Arts and Sciences first presented them in 1929, just over a dozen were ever given for silent films. 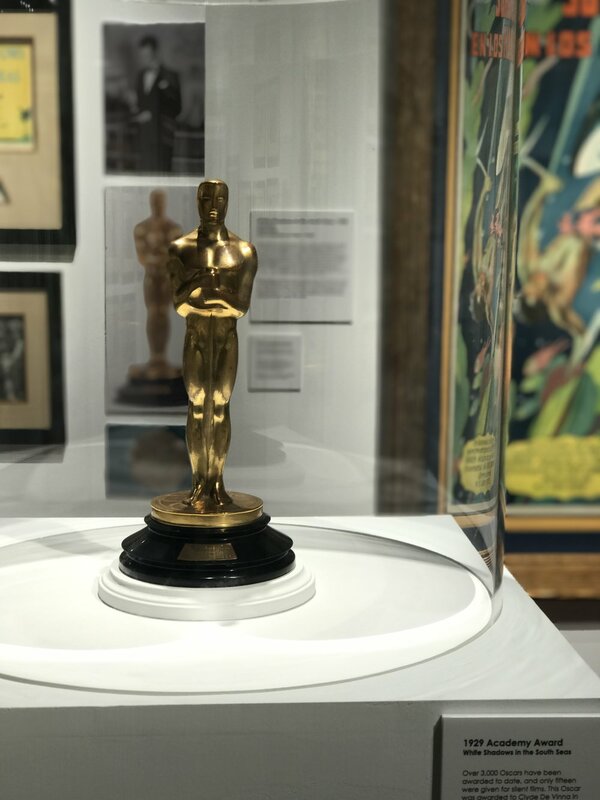 The rare 'silent Oscar' on view here was presented to Clyde De Vinna for Best Cinematography for the 1928 MGM film, White Shadows in the South Seas. First Impressions: Upon viewing the exhibit, one patron announce that she had originally imagined that the posters would have been black-and-white like their film counterparts. Gallery Manager Heather Bowling then revealed to her that these colorful pieces were actually lithograph prints using vivid inks to recreate scenes from the films; giving an extra look into the world in which the films took place. When looking at the The Rose of Blood (1917) poster, Bowling pointed out that if it wasn't for this poster, audiences would never know that Theda Bara's coat was actually a vibrant yellow. 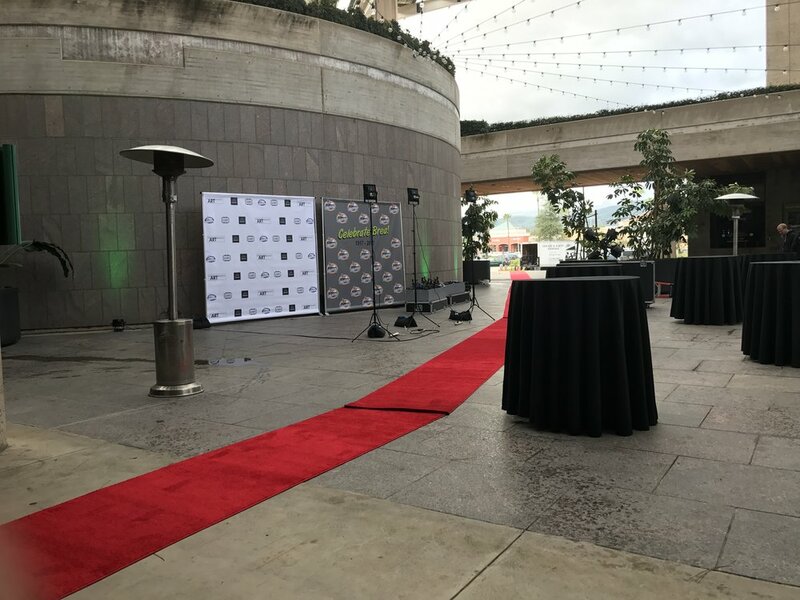 Looking Back on the Red Carpet: On February 18, 2017, the Brea Gallery kicked-off the celebration of Brea’s centennial year with the opening night gala for The Birth of Motion Pictures: An Illustrated History of Silent Cinema 1910-1929. 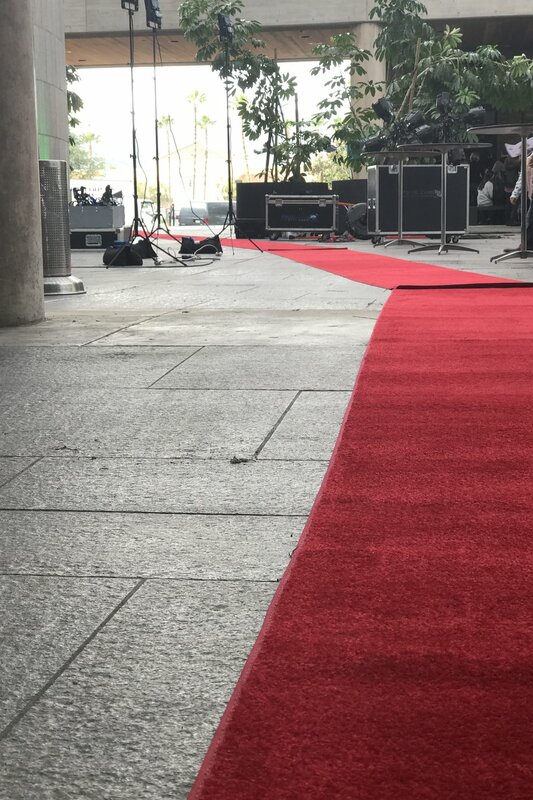 The red carpet was rolled out and a dapper evening was enjoyed. The evening included a live string quartet, full bar, passed hors d’oeurvres, a 1920’s themed photobooth, and a courtyard full of celebration. 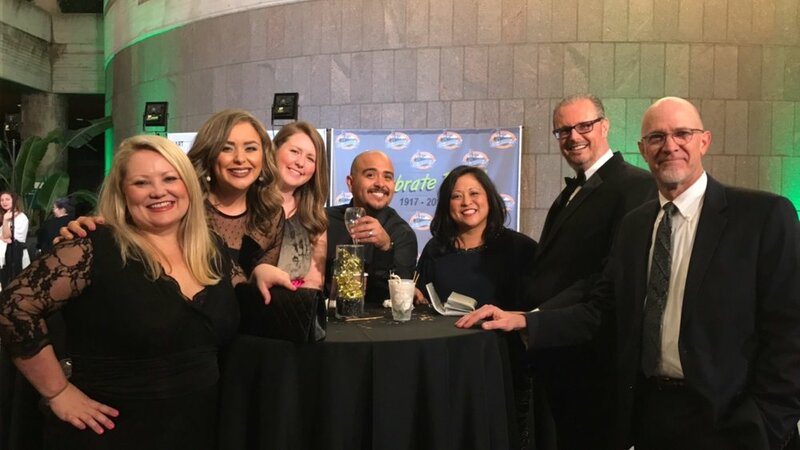 It was truly an evening to remember. The Birth of Motion Pictures: An Illustrated History of Silent Cinema 1910-1929 is on display at the Brea Gallery until April 14, 2017. Meet Olga. She’s back at the Brea Gallery for her second time with all new work!